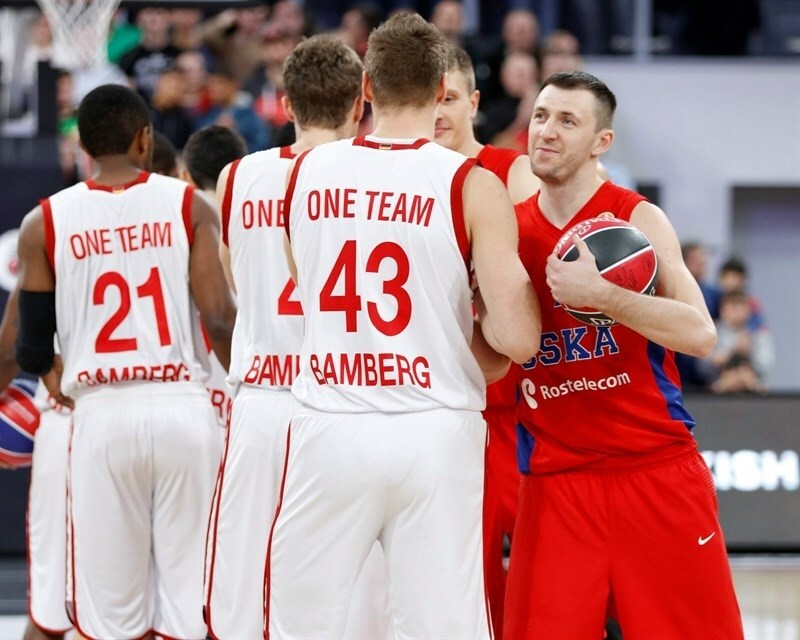 CSKA Moscow remained undefeated against Brose Baskets Bamberg with an 88-100 victory on the road in a battle of Group B teams already qualified for the Top 16. 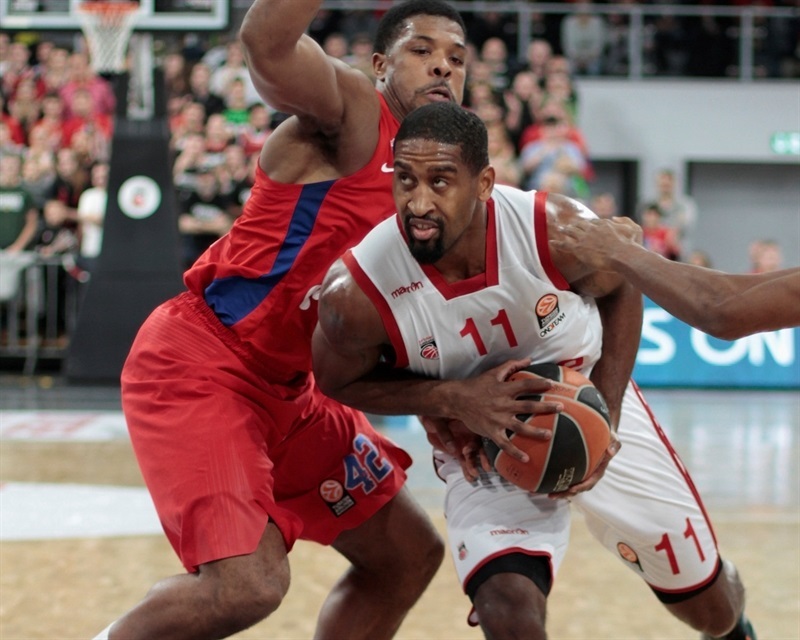 Nando De Colo scored 27 points and dished 11 assists while Cory Higgins poured in 23 points for CSKA, which improved to 7-1. 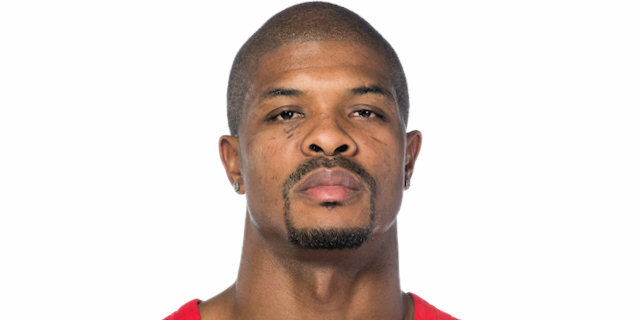 Kyle Hines added 17 points and Nikita Kurbanov had 12 points and 10 rebounds. 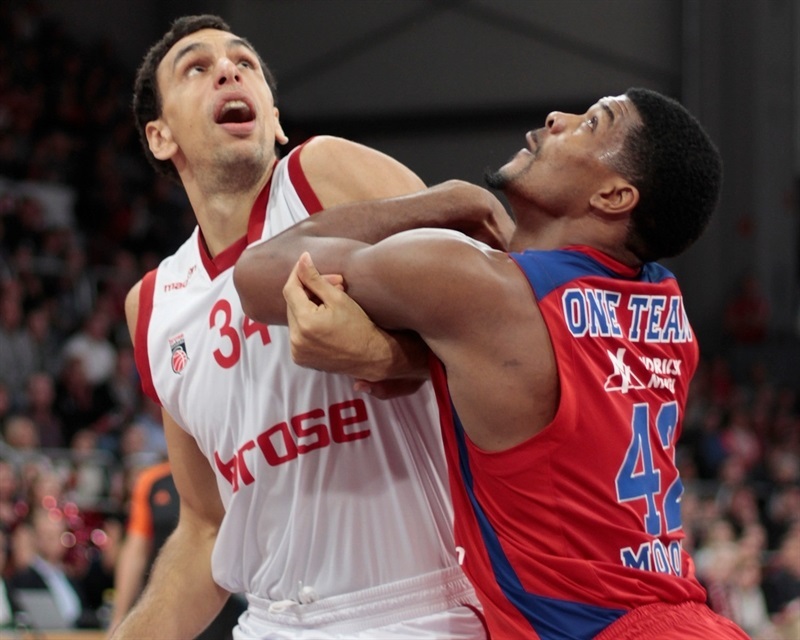 Bamberg fell to 5-3 despite November MVP Nicolo Melli pacing Bamberg with 16 points. Daniel Theis had 15 points, Janis Strelnieks scored 13, Darius Miller and Brad Wanamaker both chipped in 12 points and Nikos Zisis tallied 10 points in the loss. De Colo decided the game in the third quarter with a personal 1-10 run to build an 11-point lead and Bamberg never got to within 6 points the rest of the way. 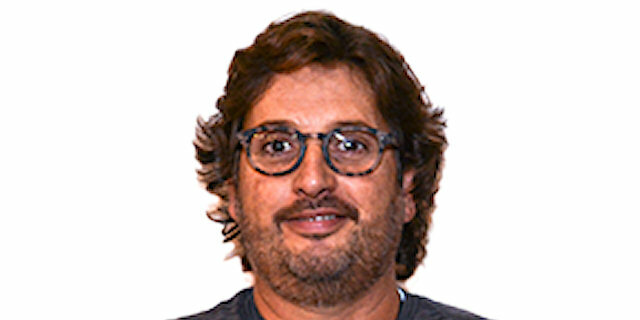 Bamberg coach Andrea Trinchieri made one change to his starting line-up with Leon Radosevic starting for Elias Harris along with Zisis, Brad Wanamaker, Miller and Melli. CSKA Moscow boss Dimitris Itoudis was without injured Aaron Jackson and Higgins replaced him as the only swap along with De Colo, Vitaly Fridzon, Andrey Vorontsevich and Hines. De Colo started the scoring as he got to the basket for a layup and his jumper made it 0-4. 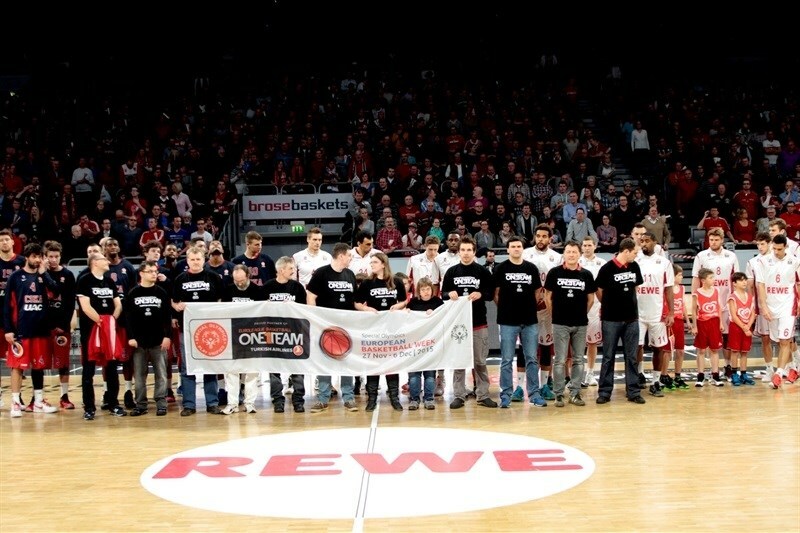 Melli got Bamberg on the scoreboard with a three from the left wing. Wanamaker’s long jumper cut the margin to 5-6, but De Colo broke through the defense again for a lay-up and-one for a 5-9 lead. 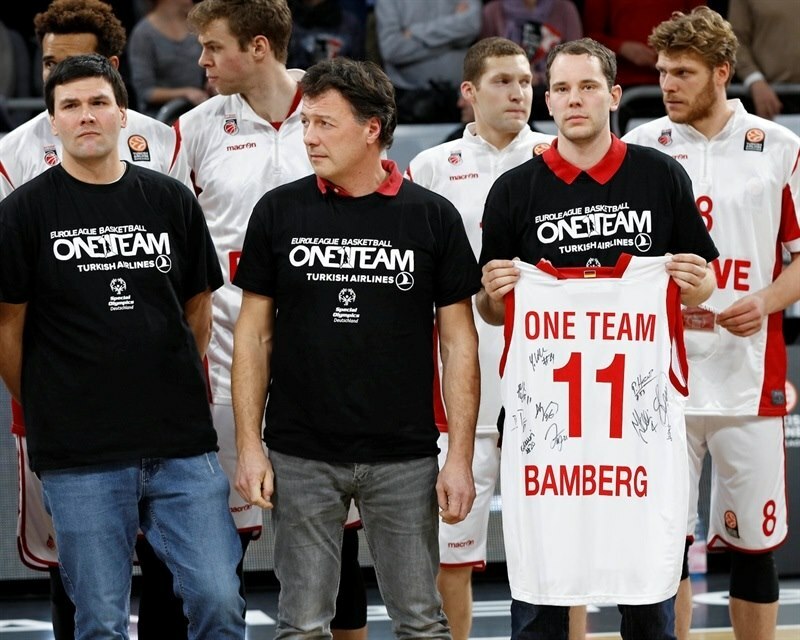 Moscow came up empty on a couple of possessions and Bamberg capitalized with a 7-0 run, including a Melli baseline jumper and a Miller three-pointer from the right wing as Bamberg nosed ahead 12-9. De Colo’s free throws snapped the scoreless streak and he set up Hines’s first basket for a 12-13 lead. The lead switched hands on the next three scores with Wanamaker stripping the ball from De Colo and cruising in for a lay-up to make it 16-15. And the Bamberg point guard added two more foul shots for an 18-15 margin. Moscow reclaimed the lead on a Vorontsevich jumper before Zisis got another tough lay-up to fall to push Bamberg back ahead 20-19. Milos Teodosic however came on and nailed a three-ball and Pavel Korobkov and Nikita Kurbanov tallied in the final minute for a 20-26 CSKA advantage after 10 minutes. Strelnieks scored his first points to start the quarter with a three-pointer and his three-point play evened the game at 26-26. CSKA got its first score on a Bamberg defensive lapse as De Colo found Korobkov alone under the basket to make it 26-28. And Coach Trinchieri immediately wanted to talk it over. Zisis came out of the timeout by hitting a jumper, but the CSKA big men answered as Viacheslav Kravtsov scored inside and Kurbanov nailed a three-pointer from the left side for a 30-33 advantage. Strelnieks tied the game with free throws and it was time for a CSKA timeout after Wanamaker sent Theis flying for an alley-oop dunk at 35-33. After De Colo tied the game, Theis put Bamberg back ahead with a free throw. But Kurbanov nailed another three-pointer from the left side and it was 36-41 after Hines completed a three-point play. Patrick Heckmann’s floater was answered by a De Colo jumper before a three-pointer from Bamberg marksman Lucca Staiger trimmed the deficit to 43-44. Vorontsevich came back down at the other end and nailed a triple of his own to make it 43-47. Wanamaker and Melli both scored to keep Bamberg close, but De Colo’s jumper at the buzzer of the second quarter had CSKA up 47-51 at intermission. Theis missed free throws to start the second half, but Miller got Bamberg on the board first after the break with a three-pointer. And Melli’s offensive rebound and put-back had the hosts up 52-51. Vorontsevich nailed a three-ball for Moscow’s first points. Miller tied the game for a seventh time, but Hines converted a three-point play and De Colo continued his superb showing with a three-pointer for a 57-62 lead. De Colo increased the margin to the biggest in the game at 6 points with a free throw after a technical foul on Trinchieri to make it 57-63. And then De Colo pushed the margin to 58-69 with back-to-back three-pointers, completing a personal 1-10 run. Bamberg continued to score, but could not get defensive stops. Higgins hit 4 free throws and a jumper and Kurbanov added 2 foul shots as Bamberg could not cut the deficit to less than 9 points and trailed 70-79 after three quarters. Kurbanov started the fourth for CSKA and was answered by Theis before Melli’s three-pointer cut the gap to 75-81 - with Itoudis reacting immediately with a timeout to stop any momentum. Higgins responded straight away with a three-pointer and 2 Hines free throws had the CSKA margin back up to 11 points - 75-86. Zisis came back with a jumper and Theis trimmed the margin to 80-88 with six minutes to play. But Hines split free throws and hit a layup and Higgins hit a driving layup to push the lead to 80-93 with five minutes left. Higgins continued his hot second half with a three-pointer to increase the lead to 82-96. Strelnieks and Radosevic scored to get the game down to 87-98. But by the time Theis split foul shots to make it 88-98, there was only one minute left. "If we are smart we can learn. If we put our ego in front of the team we will not learn. We played against a Final Four team and there is a gap. And tonight we saw the gap. To play these kinds of games, you need 12 ready players, and we didn’t have 12 ready players. We need everybody. Our defense was very disappointing. We were caught up by emotions. De Colo started hitting big shots and we were frustrated. We were horrible on defense. Some of that goes to credit to CSKA, because they scored big shots. But if you want to compete against such a big team, you need to play defense. We were not at the right level. This is simply what happened." "Congratulations to my team. We were the better team and we deserved to win against a very good team and a great crowd. They have an amazing crowd, who pushes the team to another level. It’s always a pleasure coming here and playing in this atmosphere. We knew where Bamberg had some vulnerable spots and we used that. In the second half we contested more of the shots and got our defensive stops. The team is united despite the big absences and we showed that we are strong. I have to thank all my players." 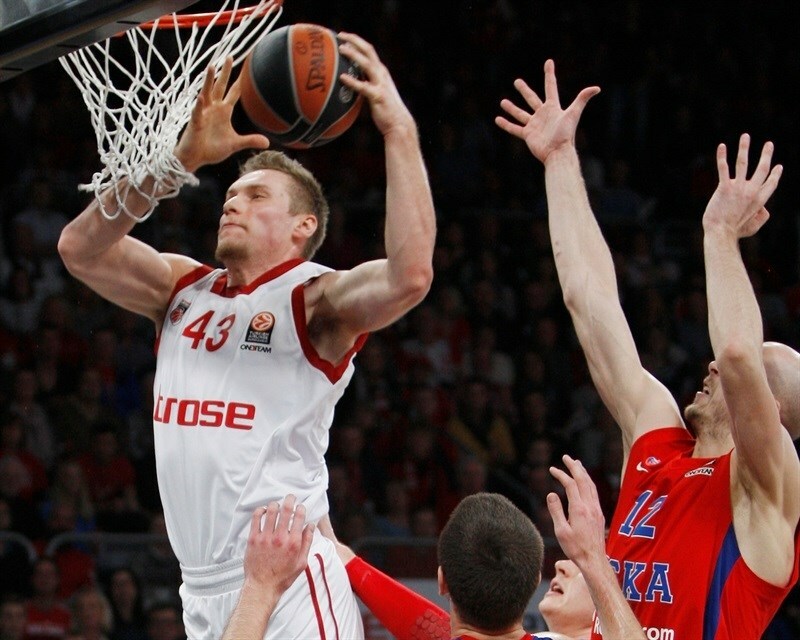 "It was a clear win for CSKA. They played better than us. When you receive 100 points at home in a Euroleague game, you have no chance. It was all decided there. Our defense wasn’t at the level we want it to be. We will see what we did wrong and prepare for the following games. " "It was a special game for me to come back here and play in front of such a great crowd at Freak City. They always have an amazing crowd and an amazing atmosphere here. It’s a great victory for us especially because they are a great team and don’t lose many games here. So for us with the circumstances it was definitely a good team win. "